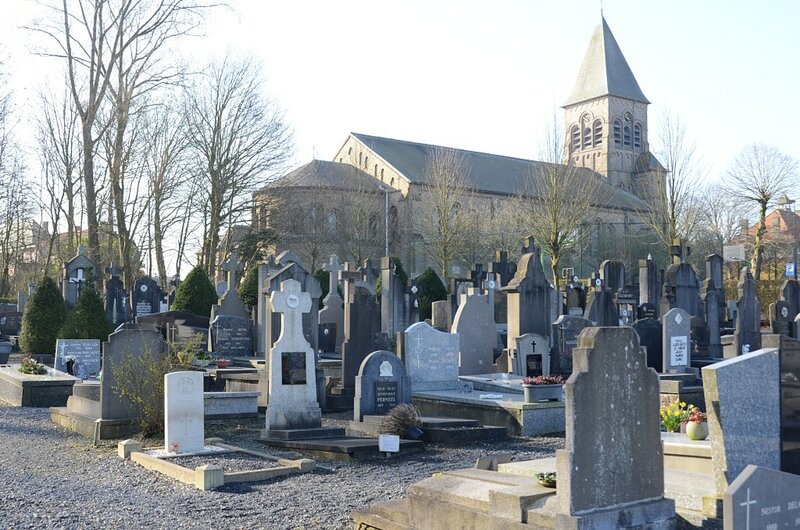 The village of Geluveld (Gheluvelt) is located 8 kms east of the town of Ieper on the N8 which runs between Ieper and Menen. Driving into Geluveld from Ieper, along the Menenstraat, turn left into Geluveldplaats (a branch of the Centea bank is on the corner). Continue along this road passing the church and town square. At the end of the road turn left into Polderweg and the cemetery is about 50 meters along this road on the right. After entering the cemetery take the second path on the left. The single grave will be found on the left hand side of the path at the end of the second plot. 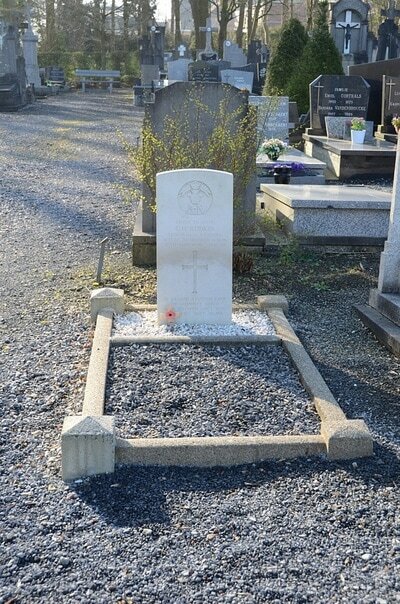 Geluveld Communal Cemetey contains one Commonwealth burial of the Second World War. 321469 Trooper Geoffrey Hugh Rudkin, 12th Royal Lancers, Royal Armoured Corps, died 28th May 1940, aged 20. 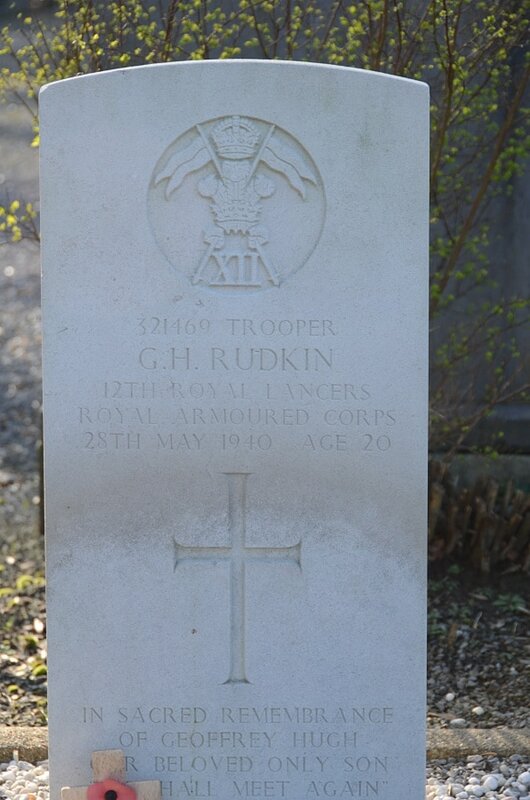 Son of Arthur Hugh and Olive Edith Rudkin, of Bexleyheath, Kent.